Blue Bay Escape Resort is located in St Spiridon between Acharavi and Kassiopi on the north coast of Corfu. 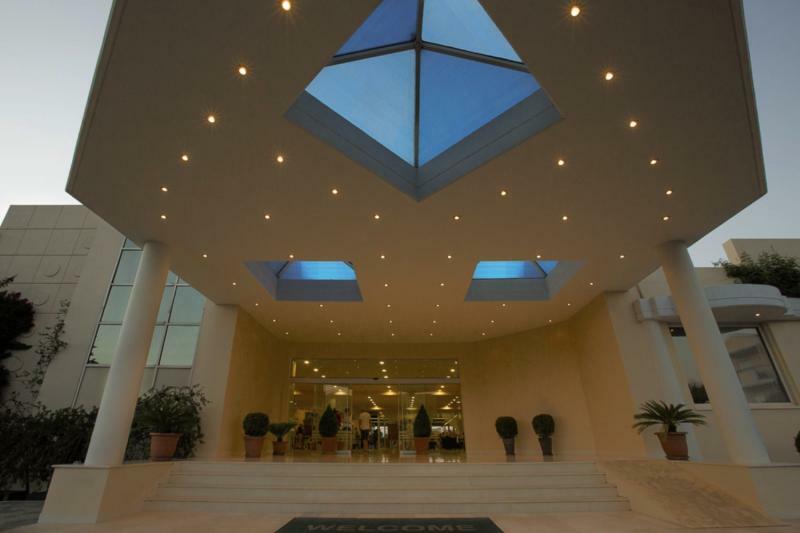 This friendly resort was built with relaxed family and couples’ holidays in mind; not only does it sit by a swathe of beach and the Ionian Sea but it boasts a wealth of on-site amenities to satisfy all ages and tastes. The curvy pool is the star of the show on sunny days; the perfect spot for swimming. Settle down on poolside lounger or grab your towel and make for the sands. The pint-sized pool and kids' club amuse younger guests. Get active with a gym workout, partner up for a few sets of tennis, don a snorkel to see underwater delights, or hire a bike to explore on two wheels. Kick back in your stylish guest room or apartment where a host of welcome features help you feel at home. There's a fridge to keep your drinks cold, a television to catch the news, and a balcony or terrace to sit and watch the world go by. 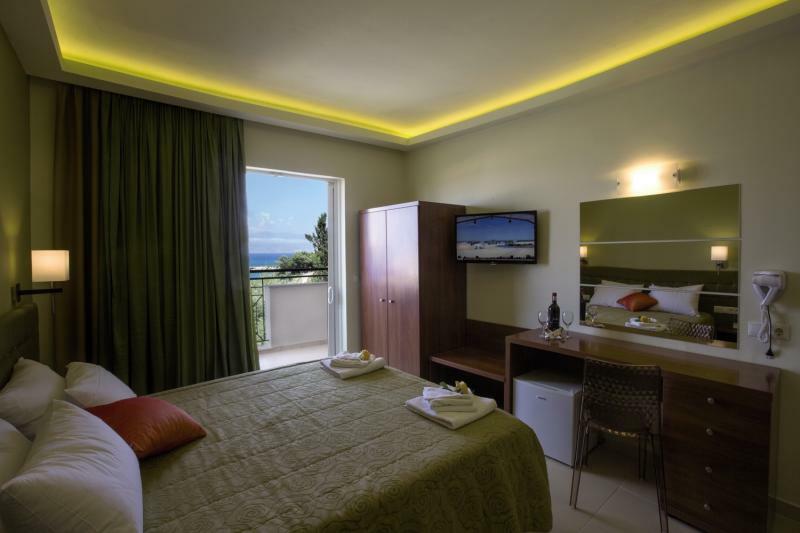 The comfortable beds and air-conditioning aid a restful night's slumber. The on-site bars and eateries look after your food and drink. 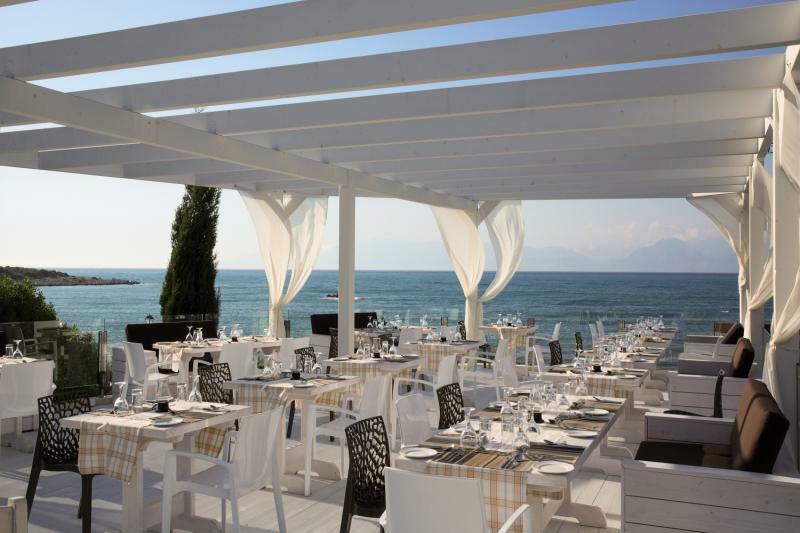 From tasty serve-yourself breakfasts and dinners in the main restaurant and lunch dishes at the poolside taverna to light bites at the snack bar and tropical cocktails and ice-cold beers at the two bars; all the boxes are ticked here. This place really comes to life after dark with live entertainment on stage. 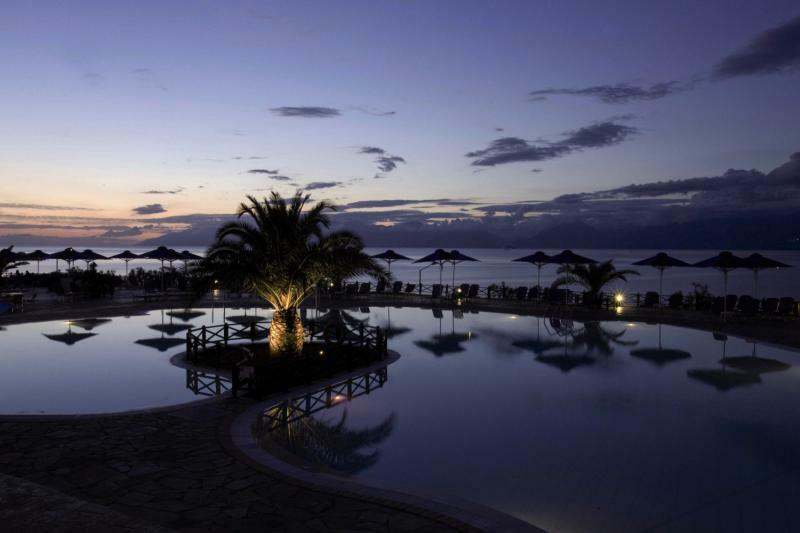 Discover why Blue Bay Escape Resort is a popular place to stay for Corfu holidays. Blue Bay Escape Resort offers plentiful facilities, including: an outdoor swimming pool, children's pool, sun terrace with sun loungers, two restaurants, two bars, snack bar, theatre stage, massage service, two kids' clubs, 24-hour reception, lobby lounge, two tennis courts, and gym. 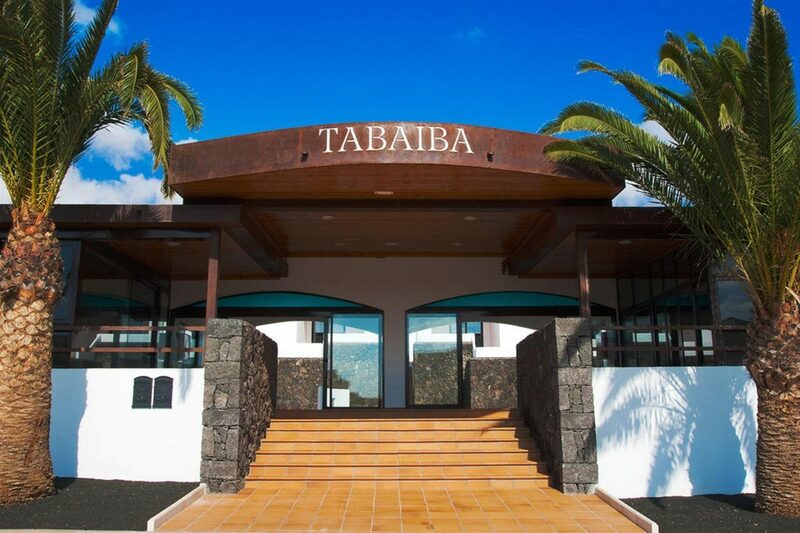 Daytime activities include basketball, five-a-side football, aqua-aerobics, water polo, non-motorised water sports including canoes/kayaks, pedaloes, and snorkelling, mountain bikes to hire, darts, table tennis, and volleyball. Paragliding, banana rides, windsurfing, waterskiing, donut rides, boogie boards, and scuba diving are available and payable locally. 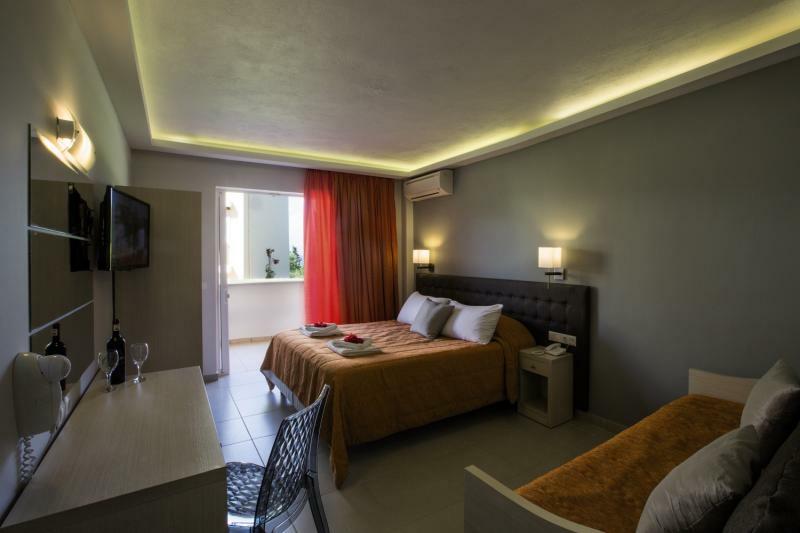 This St Spiridon hotel has a total of 328 modern double rooms and one-bedroom apartments. The one-bedroom apartments have a lounge with sofa beds, bedroom with twin beds or double bed, air-conditioning, satellite television, digital telephones, hairdryer, fridge, bathroom, safety deposit box to hire, complimentary cot, daily maid service, and balcony or terrace. 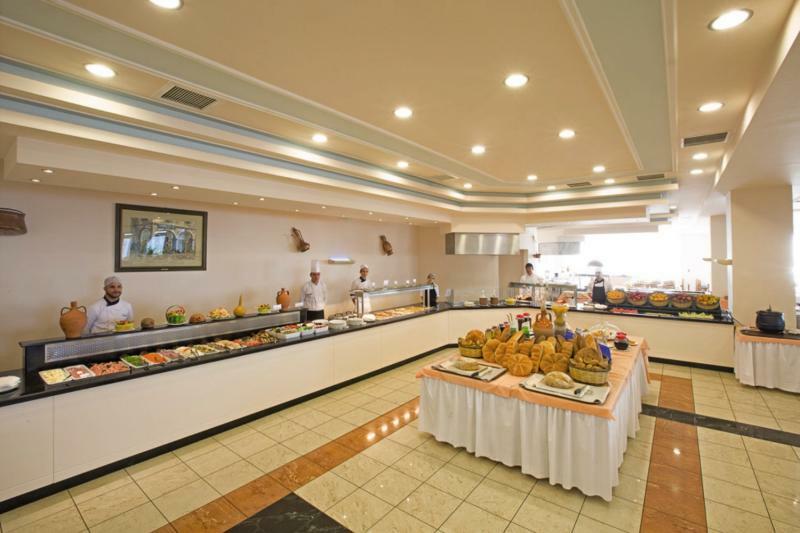 The main restaurant serves buffet-style meals at breakfast and dinner. Taverna Pool Restaurant is your go-to for hot and cold dishes at lunch. You can also enjoy a menu of light bites from the Snack Bar, while the Main Bar and Pool Bar offer a wide choice of hot and cold drinks and cocktails. The evening entertainment includes live music and shows on the theatre stage.